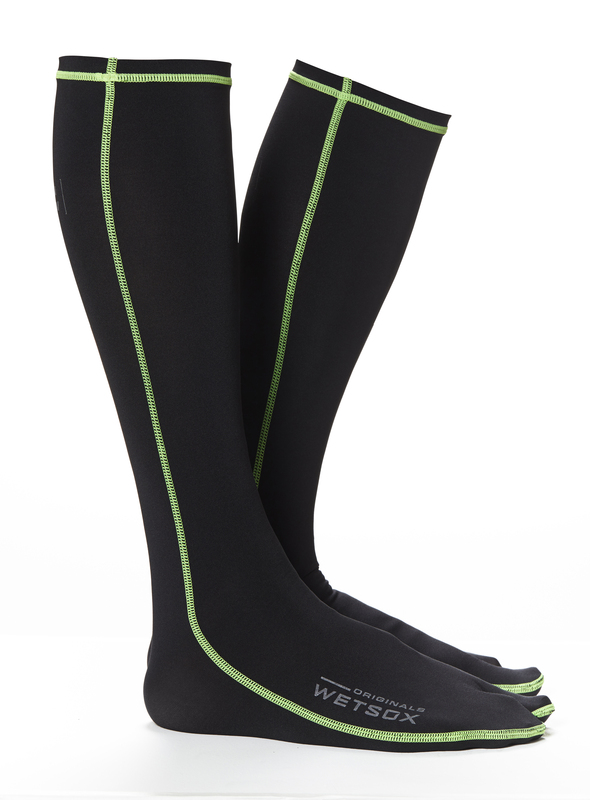 -Four-way stretch fabric that forms to your foot, creating a frictionless barrier between you and your gear. -Split Toe design is great for wearing with flip flops after a dive. It's been said that getting in and out of a wetsuit and boots is the worst part of getting in and out of the water, and, well, it's probably true. Enter WETSOX. 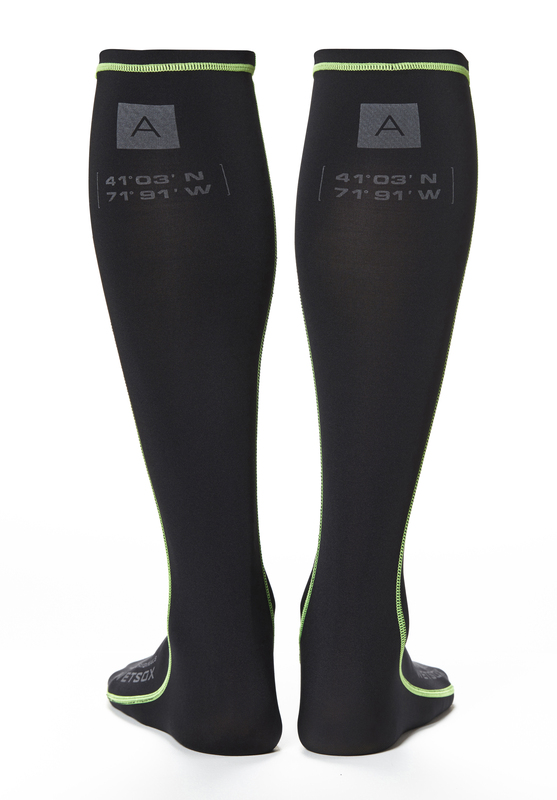 Our products are designed to get you both INTO and OUT OF your wetsuit and wetsuit boots in seconds by eliminating the friction between you and your gear. 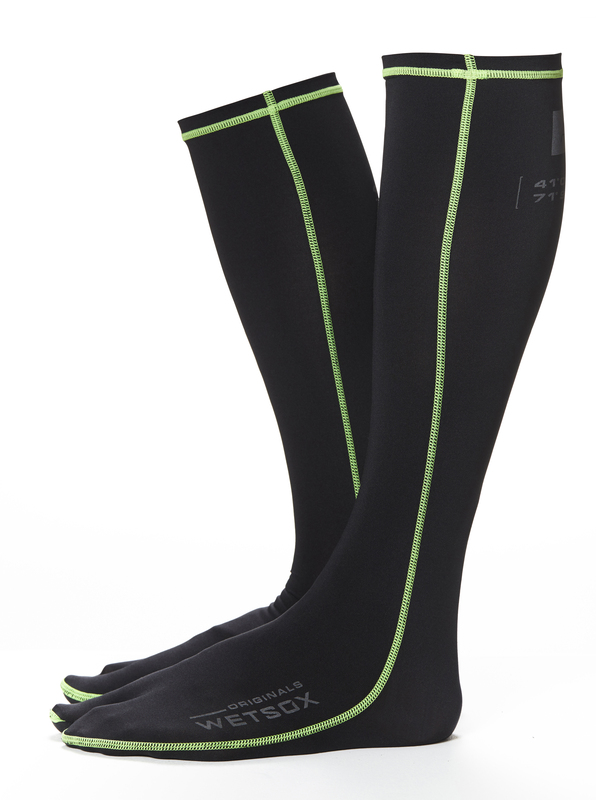 Simply slide on your WETSOX, slip on your gear and get in the water. It's that simple. And if getting INTO your gear easily sounds pretty darn good, just wait until you slip right OUT of your gear after a long cold session. You'll be smiling for sure.